Cross-sections of the abducens nerve in various age groups. Panel of low magnification (left column) and high magnification (right column) photomicrographs of toluidene blue stained semithin resin sections of trochlear nerves showing the Epineurium (Epi) and Perineurium (Peri). The darkly stained profiles seen in the micrographs are the myelin sheaths surrounding the axons of the abducens nerve. A. and B. are of a 16 year old female; C. and D. are of a 24 year old female; E. and F. are of a 45 year old male and G. and H. are of a 61 year old man. Scale bar: A = 500 μm. C = 300 μm. B = D = 50 μm. Due to the aging of the global population and the derivative increase in aging-related non-communicable diseases and their economic burden, there is an urgent need to promote research on aging and aging-related diseases as a way to improve healthy and productive longevity for the elderly population. To accomplish this goal, we advocate the following policies: 1) Increasing funding for research and development specifically directed to ameliorate degenerative aging processes and to extend healthy and productive lifespan for the population; 2) Providing a set of incentives for commercial, academic, public and governmental organizations to foster engagement in such research and development; and 3) Establishing and expanding coordination and consultation structures, programs and institutions involved in aging-related research, development and education in academia, industry, public policy agencies and at governmental and supra-governmental levels. The trochlear and abducens nerves (TN and AN) control the movement of the superior oblique and lateral rectus muscles of the eyeball, respectively. Despite their immense clinical and radiological importance no morphometric data was available from a wide spectrum of age groups for comparison with either pathological or other conditions involving these nerves. In the present study, morphometry of the TN and AN was performed on twenty post-mortem samples ranging from 12-90 years of age. The nerve samples were processed for resin embedding and toluidine blue stained thin (1&x000B5;m) sections were used for estimating the total number of myelinated axons by fractionator and the cross sectional area of the nerve and the axons by point counting methods. We observed that the TN was covered by a well-defined epineurium and had ill-defined fascicles, whereas the AN had multiple fascicles with scanty epineurium. Both nerves contained myelinated and unmyelinated fibers of various sizes intermingled with each other. Out of the four age groups (12-20y, 21-40y, 41-60y and &x0003E;61y) the younger groups revealed isolated bundles of small thinly myelinated axons. The total number of myelinated fibers in the TN and AN at various ages ranged from 1100-3000 and 1600-7000, respectively. There was no significant change in the cross-sectional area of the nerves or the axonal area of the myelinated nerves across the age groups. 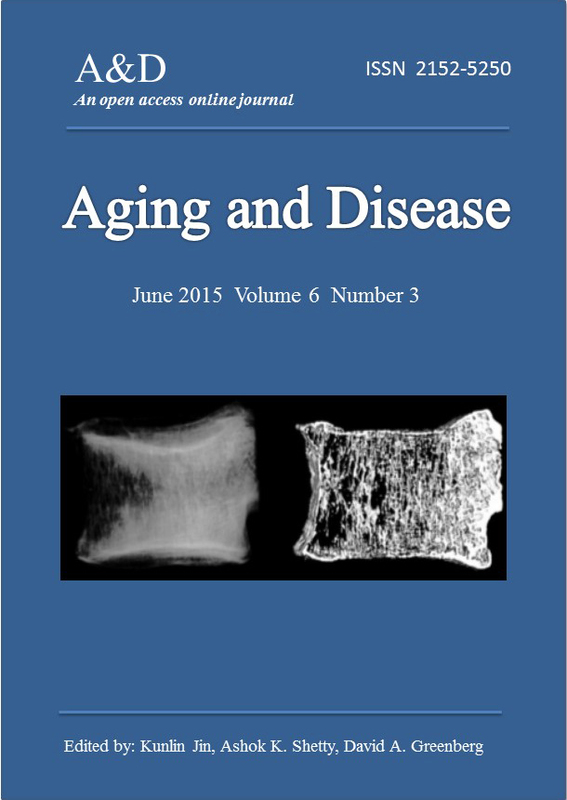 However, myelin thickness increased significantly in the AN with aging (one way ANOVA). The present study provides baseline morphometric data on the human TN and AN at various ages. 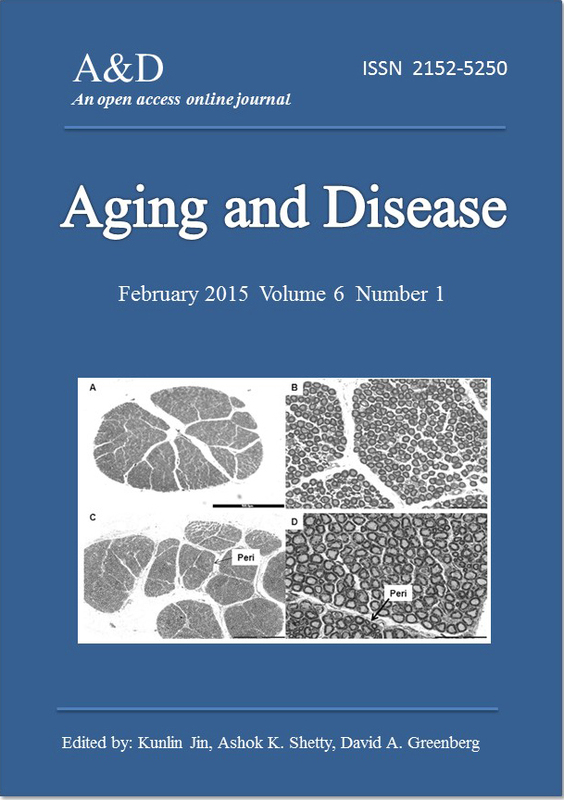 This work aimed to evaluate how aging could influence patients’ perception of health quality of life (HRQOL), as well as, the effect of aging on dialysis adequacy and in hematological, iron status, inflammatory and nutritional markers. In this transversal study were enrolled 305 ESRD patients under online-hemodiafiltration (OL-HDF) (59.67% males; 64.9 ± 14.3 years old). Data about comorbidities, hematological data, iron status, dialysis adequacy, nutritional and inflammatory markers were collected from patient’s records. Moreover, HRQOL score, by using the Kidney Disease Quality of Life-Short Form (KDQOL-SF), was assessed. Analyzing the results according to quartiles of age, significant differences were found for some parameters evaluated by the KDQOL-SF instrument, namely for work status, physical functioning and role-physical, which decreased with increasing age. We also found a higher proportion of diabetic patients, a decrease in creatinine, iron, albumin serum levels, transferrin saturation and nPCR, with increasing age. Moreover, significant negative correlations were found between age and mean cell hemoglobin concentration, iron, transferrin saturation, albumin, nPCR, work status, physical functioning and role-physical. In conclusion, our results showed that aging is associated with a decreased work status, physical functioning and role-physical, with a decreased dialysis adequacy, iron availability and nutritional status, and with an increased proportion of diabetic patients and of patients using central venous catheter, as the vascular access. The knowledge of these changes associated with aging, which have impact in the quality of life of the patients, could be useful in their management. Healthcare-associated pneumonia (HCAP) is a new concept of pneumonia proposed by the American Thoracic Society/Infectious Diseases Society of America in 2005. This category is located between community-acquired pneumonia and hospital-acquired pneumonia with respect to the characteristics of the causative pathogens and mortality, and primarily targets elderly patients in healthcare facilities. Aspiration among such patients is recognized to be a primary mechanism for the development of pneumonia, particularly since the HCAP guidelines were published. However, it is difficult to manage patients with aspiration pneumonia because the definition of the condition is unclear, and the treatment is associated with ethical aspects. This review focused on the definition, prevalence and role of aspiration pneumonia as a prognostic factor in published studies of HCAP and attempted to identify problems associated with the concept of aspiration pneumonia. Dizziness and imbalance are amongst the most common complaints in older people, and are a growing public health concern since they put older people at a significantly higher risk of falling. Although the causes of dizziness in older people are multifactorial, peripheral vestibular dysfunction is one of the most frequent causes. Benign paroxysmal positional vertigo is the most frequent form of vestibular dysfunction in the elderly, followed by Meniere#cod#x02019;s disease. Every factor associated with the maintenance of postural stability deteriorates during aging. Age-related deterioration of peripheral vestibular function has been demonstrated through quantitative measurements of the vestibulo-ocular reflex with rotational testing and of the vestibulo-collic reflex with testing of vestibular evoked myogenic potentials. Age-related decline of vestibular function has been shown to correlate with the age-related decrease in the number of vestibular hair cells and neurons. The mechanism of age-related cellular loss in the vestibular endorgan is unclear, but it is thought that genetic predisposition and cumulative effect of oxidative stress may both play an important role. Since the causes of dizziness in older people are multi-factorial, management of this disease should be customized according to the etiologies of each individual. Vestibular rehabilitation is found to be effective in treating both unilateral and bilateral vestibular dysfunction. Various prosthetic devices have also been developed to improve postural balance in older people. Although there have been no medical treatments improving age-related vestibular dysfunction, new medical treatments such as mitochondrial antioxidants or caloric restriction, which have been effective in preventing age-related hearing loss, should be ienvestigated in the future. Eating disorders are a heterogeneous group of complex psychiatric disorders characterized by abnormal eating behaviours that lead to a high rate of morbidity, or even death, if underestimated and untreated. The main disorders enlisted in the chapter of the Diagnostic and Statistic Manual of Mental Disorders-5 dedicated to #cod#x0201C;Feeding and Eating Disorders#cod#x0201D; are: anorexia nervosa, bulimia nervosa and binge eating disorder. Even though these abnormal behaviours are mostly diagnosed during childhood, interesting cases of late-life eating disorders have been reported in literature. In this review, these eating disorders are discussed, with particular attention to the diagnosis and management of those cases occurring in late-life. Piano Amanda, Titorenko Vladimir I. Age is the major risk factor in the incidence of cancer, a hyperplastic disease associated with aging. Here, we discuss the complex interplay between mechanisms underlying aging and cancer as a reciprocal relationship. This relationship progresses with organismal age, follows the history of cell proliferation and senescence, is driven by common or antagonistic causes underlying aging and cancer in an age-dependent fashion, and is maintained via age-related convergent and divergent mechanisms. We summarize our knowledge of these mechanisms, outline the most important unanswered questions and suggest directions for future research.